Welcome to part two of two. To ensure that you are able to clearly communicate with your local Sacramento sunroom Builder, we have continued to provide helpful sunroom development vocabulary. For additional aid please call Pacific builders; we have recruited the best sunroom estimators in the greater Sacramento area who will turn your vision into reality. Pacific Builders showcases a wide array of roof selections for your sunroom. structural I-beams to withstand against snow and wind loads at maximum speed. known as an A-frame or pitched roof. Single-slope Roof – This is the most well-known and cost-effective roof type. building’s highest point off the roof slope. Shed roof its other name. and set up your ideal product under your existing roof. prevent snow and ice accumulation that may possibly leak in usual skylights. systems for both windows and doors tailor fit to each sunroom. be easily upgraded to a three-season room without the need to replace the frame. among three-season rooms that have a triple-track system. having ball-bearing wheels in nylon tires offers easy window and door operation. also customized to match with a specific sunroom room type. Black Aluminum Handle with Wood Accents – This is used together with three-season rooms. ease in opening and closing. can be engaged or disengaged with a simple turn. priority. With that, here are unique locking systems for every sunroom. place, this locking system is used. that your window and door panels will not be lifted out of the frame or opened. the night latch is used. you to choose. All of these are tempered to ensure safety. to enjoy the advantages of solar heat generation. and reduce your cooling costs by as much as 25% in the summer. shading and UV protection while reducing solar heat gain. comes in varying thicknesses depending upon the sunroom type being chosen. with aluminum that may be white, sand stone, or bronze. frames may appear in white or sandstone color. read, you are now ready to start carrying out your sunroom installation plan. 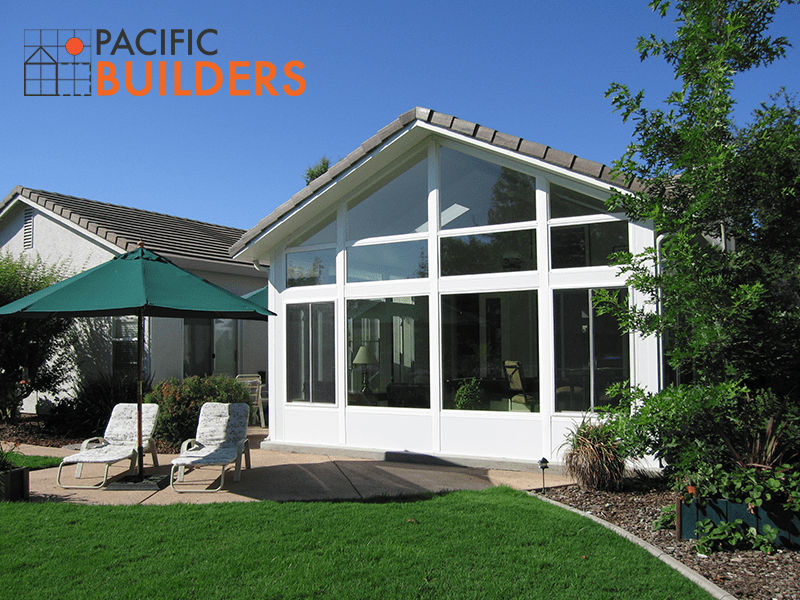 design your sunroom or porch enclosure, contact Pacific Builders. for free or call us!